Wheel Material: Rubber, Plastic, TPR/ Thermoplastic rubber, PU/ Polyurethane, PP/ Polypropylene, Phenolic, metal including steel, aluminum and cast iron. Wheels sold individually or as part of a caster. Custom wheel materials are available upon request. 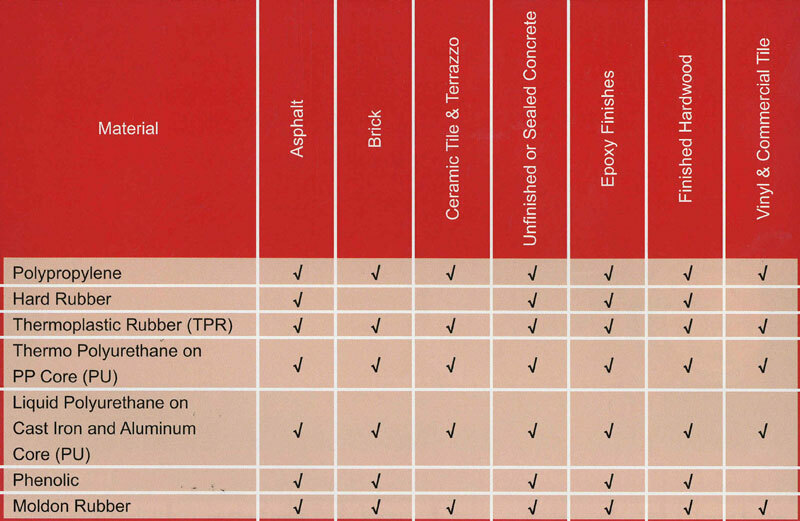 Wheels for floor surfaces: Asphalt, brick, ceramic tile, carpet, sealed concrete, hardwood, vinyl & commercial title. We have caster wheels for all your applications.